New Year's resolutions don't have to be a chore. Forget gym subscriptions and slimming clubs — start on the road to a happier, healthier 2016 you with archery, baking, sewing or even trampolining. Funzing makes those resolutions easier to keep with fun, informal events hosted by local Londoners. Unleash your inner Robin Hood with archery classes in London Bridge led by Heidi and the experienced shooters from the 2020 Archery Team. You'll learn how to shoot safely and accurately and at the end of the session you'll be able to put those skills into practice with a mini competition. Seek a higher consciousness away from the distractions of the back to work grind at the Moonlight Goddess Gathering. 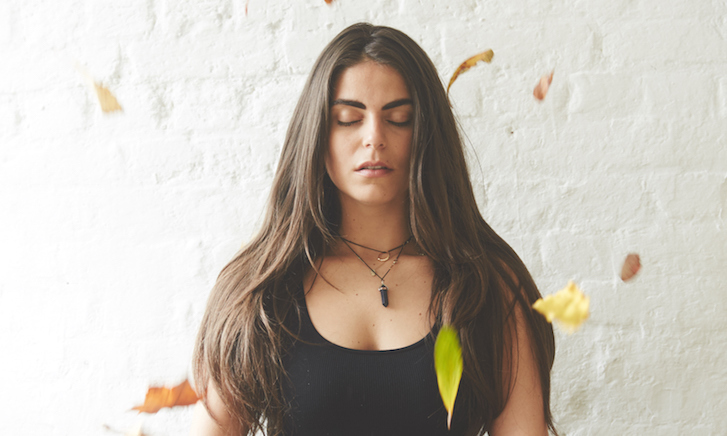 Leave your electronic devices and preconceptions at the door and enter a sacred space where a group of women will go in search of their inner goddess through astrology, herbalism, yoga, and other mystical methods. Why bother with repetitive circuits in the gym when you can get fit and have a ton of fun in a sociable environment through the medium of salsa. Get your dancing shoes on and head to Leicester Square where salsa expert Nadia will show you how to tame those two left feet. If you're more passionate about watching baking programmes than actually baking, here's the course for. Take your apron along to one of Lucy's cookery classes, and she'll give you all the encouragement and advice you need. Courses range from cupcakes, to gluten-free cooking. You'll be hosting your own bakeoff in no time. Ever fancied making your own clothes? This workshop in Seven Sisters led by qualified fashion lecturer Craig and the Fashion Box crew will teach how to make the perfect sleeves and how to get the fit just right. All machines and fabrics are provided and you'll get to take your samples home. Fancy yourself a shoe designer? Amanda set up I Can Make Shoes in east London five years ago and it has since attracted budding shoe makers from all over the world. 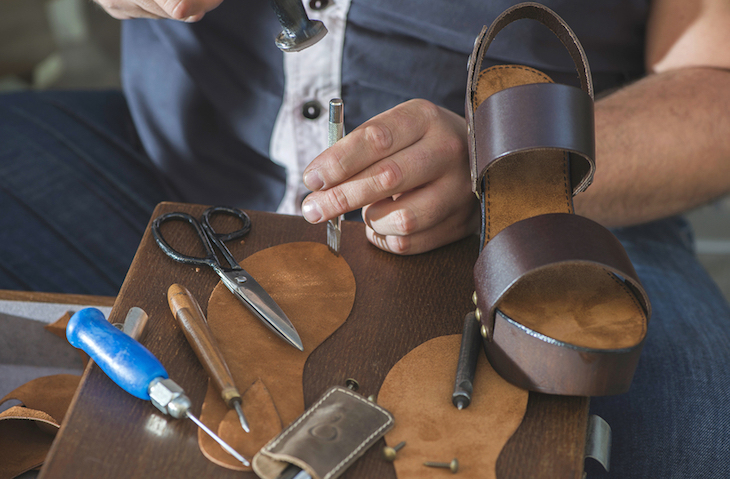 If you've ever wondered what goes into making your footwear check out her informal sessions where you'll learn all the techniques for designing your own. This could be the start of a new career as designer of fabulous footwear. The prominence of smart phones means we all like to think of ourselves as budding photographers. But wouldn't it be great to hone those skills to create properly professional photographs? Becky from Foto Ruta will combine interactive tuition with a London neighbourhood so you can put those skills into practice. The session ends with a feedback session over a glass of wine. Riannon from I MAKE KNOTS is teaching the knitting ropes just in time for winter. Head along to her knitting session in King's Cross where you'll be making super cosy slippers to snuggle up in using 100% merino wool. Join Gary and the creative team at Alternative London for a walking tour around east London which encompasses the best graffiti spots and the history of the art form. 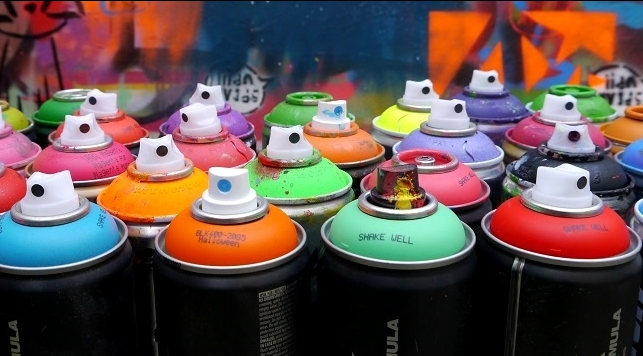 You'll even have the opportunity to unleash your inner Banksy with a spray session. This could be the year you get fit and healthy with the aid of little else but a trampoline. Don't mock it before you've tried it. Not only will you have a laugh but this low impact, high energy workout is a great way to burn calories. Led by Andrea whose jumping expertise comes all the way from the Czech Republic. Poker enthusiast Peter will teach you the tricks of the trade at this session in White City. Perfect your poker face and learn the key concepts and rules before applying them to real poker sessions. After working hard at all those resolutions it's only fair to treat yourself. Fans of gin can indulge their tastebuds at this tasting workshop led by connoisseur Julia in Greenwich. Spend the evening brushing up on your knowledge of the beverage while trying six different gins from around the world matched with canapés. If you're good with your hands your forte might very well be pottery. 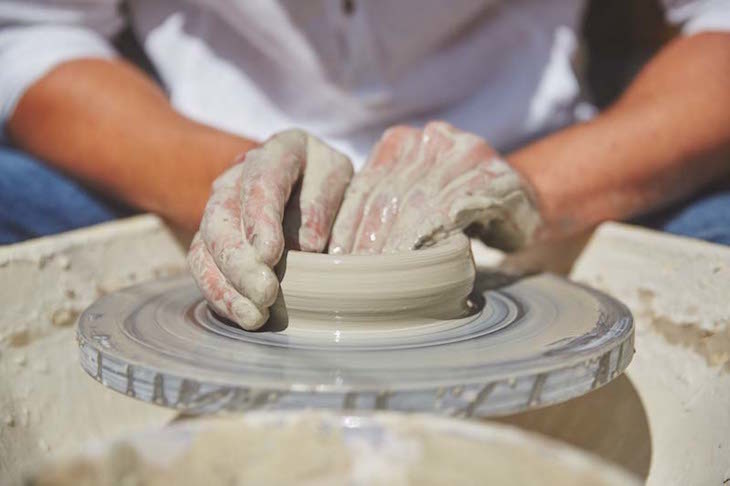 Try out pottery classes led by Vini, who will begin the session with an informal chat on the history of pottery before you get your hands dirty. After a relaxing afternoon you'll end up with your own pot and the knowhow to continue moulding. Let professional florist Naz brighten up these drab winter days with her course which teaches you the art of creating beautiful bouquets and symmetrical table vase centre pieces. Once you've mastered the technique you won't have to shell out a fortune next time a wedding rolls around.